The Coach, We Provide Training modules for Spoken English classes, Communication Skills Training, Soft Skills Training Classes. 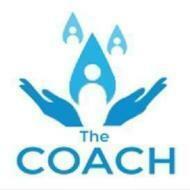 The Coach conducts classes in Communication Skills Training, Corporate Training and Soft Skills Training. It is located in Old Airport Road, Bangalore. It takes Regular Classes- at the Institute.